and a pot is born! Paul Mossman is an artisan potter making large pots and dragon sculptures for the garden and distinctive tableware for indoor use. 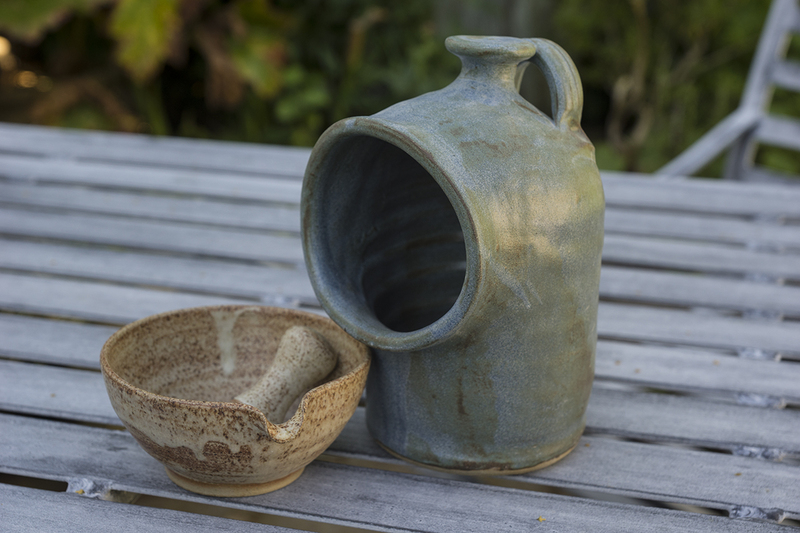 Paul makes his ceramics using methods very close to those used to make some of the earliest wheel thrown pots. As well as producing a number of pottery ranges for sale he offers bespoke pottery designed specifically with the individual in mind. 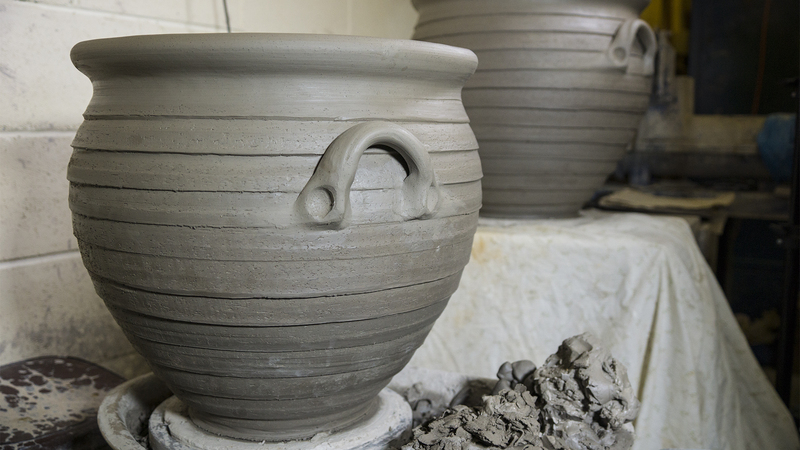 The clay is still manipulated by hand, but an electric kiln allows the precise control of temperature. The stoneware pots are fired at a temperature of 1,260 degrees. This makes the pottery frost proof for outside use, and the tableware oven, freezer, dishwasher, Aga and microwave safe. All the glazes Paul uses are also lead free. Paul regularly accepts commissions to do either variations on existing pottery or a completely new design. These commissions usually start with a drawing, often emailed back and forth, a photo of something similar, or a set of measurements. Discussions follow around size, style etc. One of Paul’s commercial customers is Simon Rogan, the Michelin starred chef from L’enclume in Cumbria and Claridge’s in London. He is amongst a growing number of top chefs worldwide using handmade pottery to enhance the presentation of their amazing food, with the ceramics reflecting the chef’s character, the food and their restaurant. Paul’s ceramics have also graced the tables and surroundings at Bibendum and Quaglino’s. The domestic tableware potentially includes every household item, from teapots to sinks and casserole dishes, all made by hand. Pieces can be individually orientated for restaurants or enthusiastic amateur cooks who want a kitchen with a difference. The pottery is eye-catching and plays an important part in the presentation of the food. Paul’s bespoke garden pots are for the discerning customer who has a high level of interest in their garden. 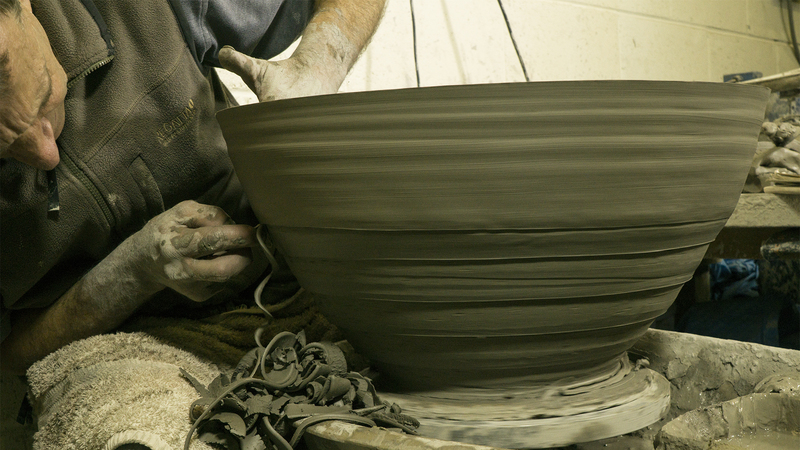 He works with the customer to ensure the finished pottery reflects the character of the owner and their garden. Often with garden pottery, Paul suggests that customers construct something in the garden to enable them to visualise the right height and size for their setting. 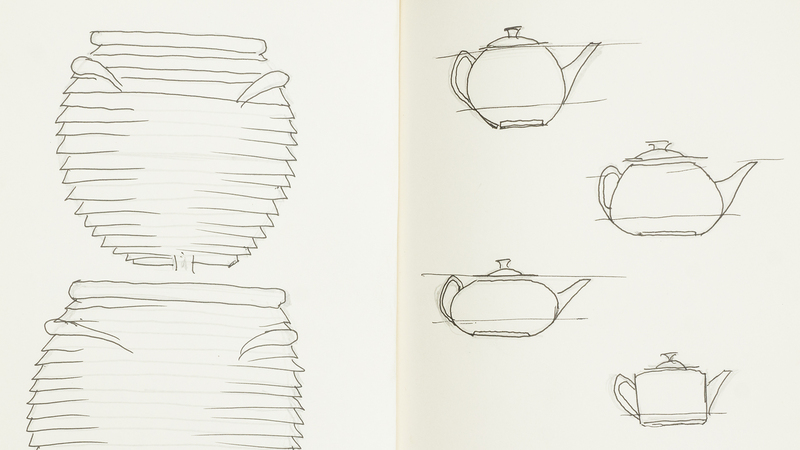 Perspective, garden slopes and topography can all have an impact on how the final pot or sculpture is viewed. This can lead to amusing moments as customers use anything from a wheelie bin to a collection of cardboard boxes to produce the impression they need! Forty years of experience means that Paul makes the seemingly impossible appear effortless, supplying cutting edge designer pottery for home and commercial settings. 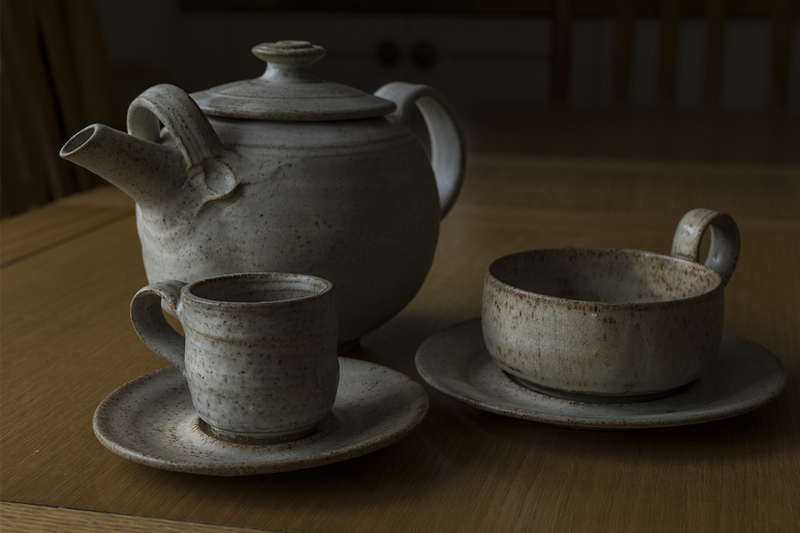 This is not production pottery, but a creative and artistic endeavour which Paul is passionate about.